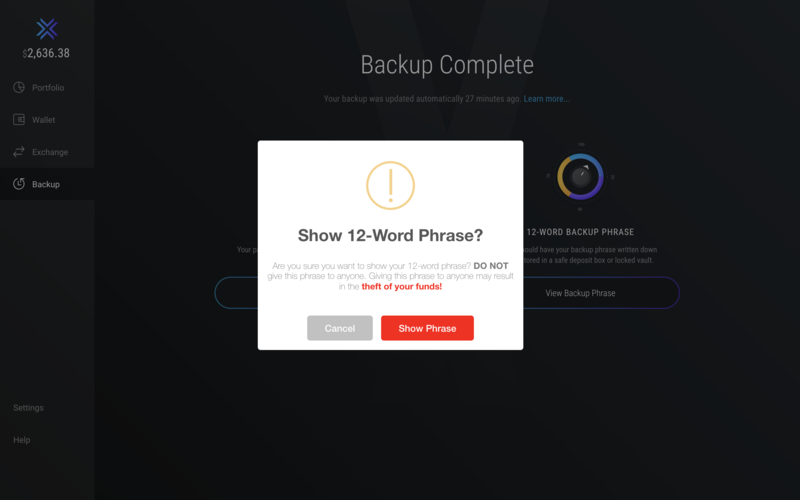 If you've already gone through the backup process and want to view your 12-word phrase, you need to log into Exodus with your password. 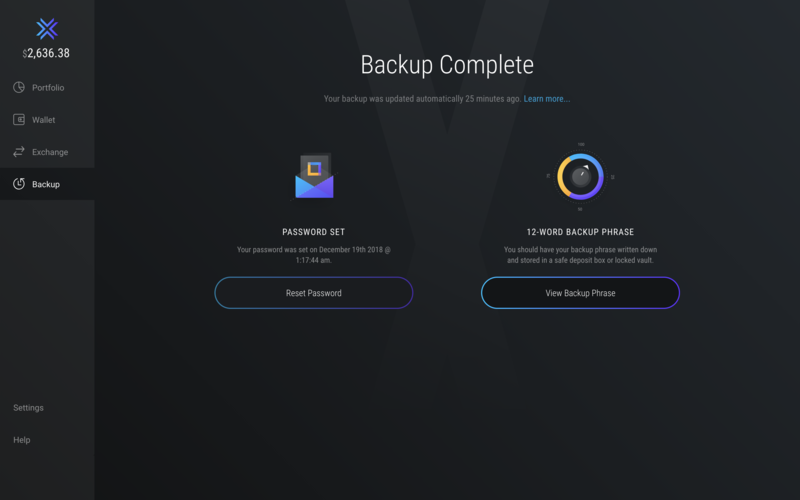 The 12 words (your “seed” or recovery phrase) are your master seed that generates all your wallet’s addresses and private keys. In other words, with this phrase, ANYONE can access your wallet’s funds anytime and anywhere from Exodus or another wallet. A warning will display and you will need to confirm you want to see your 12-words by clicking Show Phrase. Do not reveal the 12 words if you are in a public location, on public WiFi, or if there is a chance anyone can see your screen.